Funny Animals is a show about dogs, humans, and other funny animals. One google search can show the myriad of ways in which animals do funny things; as well as the human fascination to project, misinterpret and categorize animalistic behavior. In some ways, it’s easy to see a part of ourselves in a dog who is eager to see a ball thrown, catch it, and return it. We too are animals, guided by our instincts and often find ourselves playing a more complex version of the same game of “fetch” that the dog animal plays. 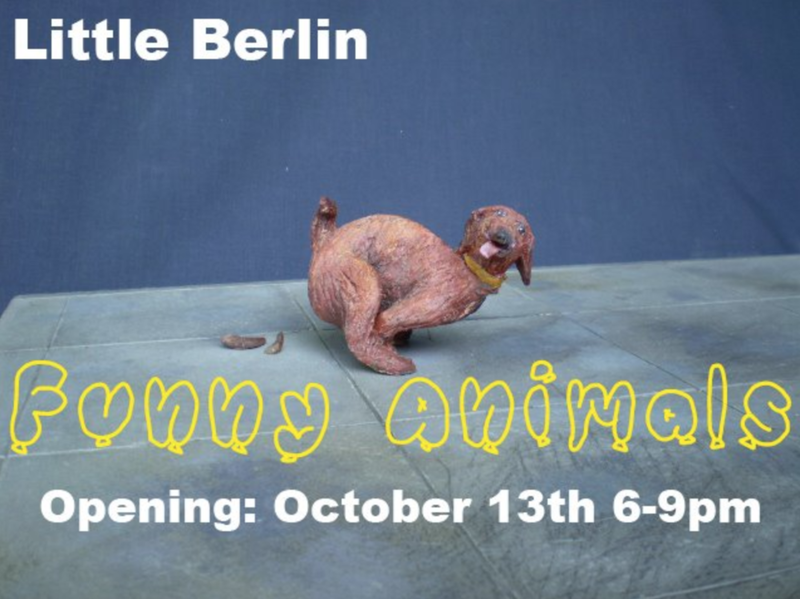 Funny Animals is a celebration of life, humor, bowel movements, clucking, and more.